Current population is 4,437,000 with Croats as majority at 90%. The minority groups include Serbs, Bosniaks, Hungarians, Italians, Slovenes, Germans, Czechs and Romani people comprising 4.5% and others for the remaining 5.9%. Religion-wise, breakdown is as follows: Roman Catholic 88%, Orthodox 4.4%, other Christian 0.4%, Muslim 1.3%, other and unspecified 0.9%, none 5.2%. Large sections of the population were displaced and emigration increased during the war from 1991 up to 1995. More recently, the Croatian government has been pressured each year to add 40% to work permit quotas for foreign workers. And in line with its immigration policy, it is enticing emigrants to return. 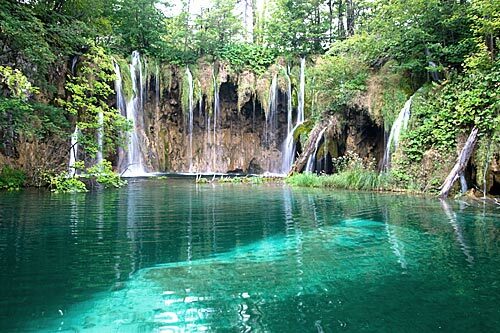 Situated in Southeastern Europe, the Republic of Croatia extends from the farthest eastern edges of the Alps in the northwest to the Pannonian Plain and the banks of the Danube in the east. The Dinara mountain range covers its central region, and its southern parts extend to the coast of the Adriatic Sea. 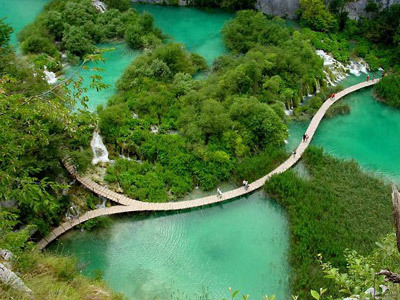 Croatia is at the crossroads of Central Europe, the Pannonian lowlands, the Balkans, and the Mediterranean Sea. Bordered by Slovenia and Hungary to the north, Serbia to the northeast, Bosnia and Herzegovina to the east, Montenegro to the southeast and a sea border with Italy to the southwest, Zagreb is its capital and largest city. Other major cities include Split, Rijeka and Osijek. Croatia is a member of the United Nations, the Organization for Security and Co-operation in Europe, the Council of Europe, NATO, WTO, and CEFTA. It is also a non-permanent member of the United Nations Security Council for 2008–2009. Finally, Croatia is a founding member of the Union for the Mediterranean since 2008. Croatia’s terrain is diverse. 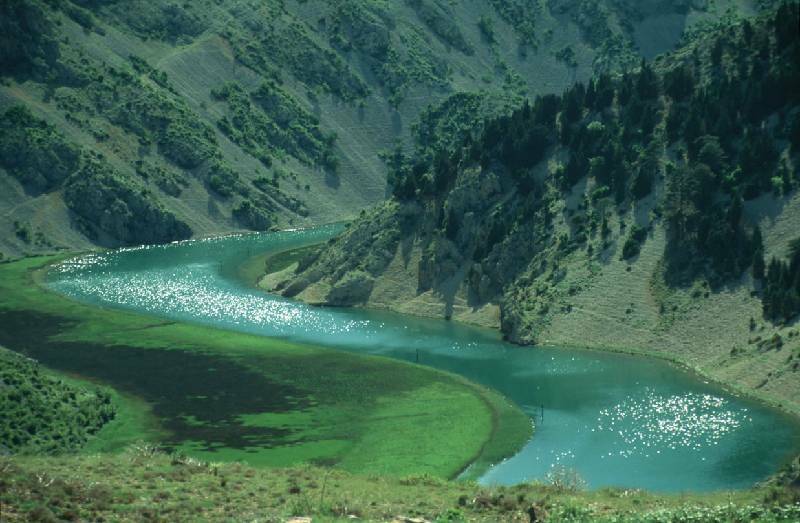 There are plains, lakes and rolling hills in continental north and northeast. On the other hand, there are rocky coastlines on the Adriatic Sea. At the same time, Lika and Gorski Kotar, part of the Dinaric Alps, are densely wooded mountains. Croatia has three eco-regions: the Pannonian mixed forests, Dinaric Mountains mixed forests and Illyrian deciduous forests. In terms of climate, it is continental in the north and east, while Mediterranean along the coast and a semi-highland and highland climate in the south-central region. While the Palagruža archipelago is home to a subtropical climate, Istra has a temperate climate. Although the Croats arrived during the seventh century in the territory covered by Croatia today and organized two dukedoms, it was only when the first king, Tomislav I was crowned in AD 925 that Croatia was elevated to Kingdom. Croatia retained its sovereignty for almost two centuries and reached its peak during the rule of Kings Petar Krešimir IV and Zvonimir. Croatia combined with Hungary in 1102. The Croatian Parliament elected Ferdinand from the House of Habsburg to the Croatian throne in 1526. It was in 1918 when Croatia declared independence from Austria-Hungary and joined the Kingdom of Yugoslavia as co-founder. During World War II, Croatia was occupied by the Nazis and with the aid of Ustaše created the Independent State of Croatia. Croatia became a founding member of Second Yugoslavia after World War II. And finally, Croatia declared independence and became a sovereign state only on June 25, 1991. Split is the largest city in Dalmatia. It is the center and the heart of Dalmatia. 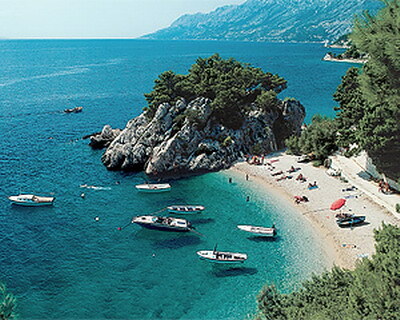 As such it is where the majority of its inhabitants live, where the main Dalmatian islands are located and where the beaches are the most beautiful. Most of the precious cultural monuments are there as well. In fact, two of a total of five Croatian localities included in the UNESCO List of World Heritage sites – the historical nucleus of Split with Diocletian’s Palace and the historical city of Trogir – are in Dalmatia. Slavonia lies in the east of Croatia, between the great rivers of the Danube, Drape and Sava. 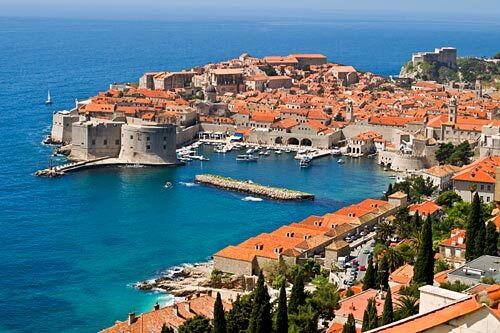 After Dalmatia this is the largest historical region of Croatia. It is famous for its wide plains, oak forests, picturesque wine country, ancient wine cellars, its Baroque palaces and churches. Slavonia has been extremely successful in preserving its indigenous Croatian folk heritage, with ornate horse-drawn carriages, wonderfully colorful folk costumes, the sounds of tambouritzas and its quite uniquely delectable cuisine. The Croatian coast, abounding in natural harbors, with its countless bays, beaches, ports and marinas is a real paradise even at night! Global and cosmopolitan in orientation, these are perfect places of entertainment for people to come out, enjoy, and rejuvenate after a very busy day, with assorted fine liquors and liqueurs, served along with savory and mouth-watering food and food items. The line up of options to choose from is subject only to one’s preferences in terms of taste, palate and wallet. Croatian culture resulted from fourteen centuries of history that covered the development of many cities and monuments. There are seven World Heritage sites and eight national parks. Croatia is also the birthplace of a number of historical figures like the explorer Marco Polo, the inventor of parachutes Faust Vrancic, the inventor of ink pens, bluing detergent (Windex), the rail-car brake, the hot water bottle, and the anode battery, Eduard Slavoljub Penkala, among others. It is also from Croatia where the necktie (kravata) originated, ensuring its place in clothing history. In addition, it has a long artistic, literary and musical tradition. Being heterogeneous, Croatian cuisine is known as the cuisine of regions. Every region has its own distinct culinary tradition. Dating back to ancient periods, the differences in the selection of foodstuffs and forms of cooking are most notable between those on the mainland and those in coastal regions. Mainland cuisine is more characterized by the earlier Slavic and the more recent contacts with the more famous gastronomic orders of today – Hungarian, Viennese and Turkish. On the other hand, the coastal region bears the influences of the Greek, Roman and Illyrian, as well as of the later Mediterranean cuisine – Italian and French. Some expressions from typical Croatian menus would include specialities from the grill called "s roštilja" or "s ražnja," "peceno" means roasted, "prženo" means fried and "pod pekom" means that the dish has been put into a stone oven under a metal cover. The cook puts hot coals on the cover so that the meal is cooked slowly.